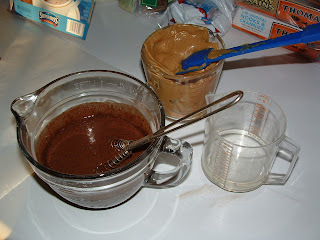 Whisk together the hot water and cocoa mix until smooth. Add peanut butter and corn syrup. Blend until smooth. 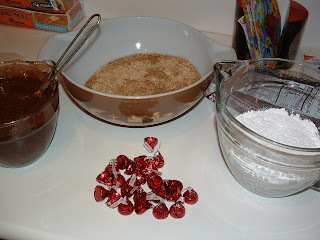 Add 2 cups powdered sugar and stir until well blended. 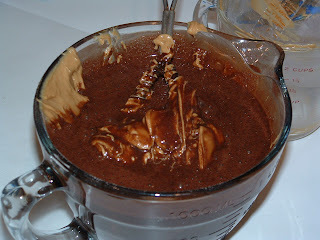 Stir in cookie crumbs until well blended. Spray wax paper with PURE (these will be sticky so don't forget this step). Drop heaping teaspoonfuls of dough onto the wax paper. Place the remaining 1 cup of powdered sugar in a shallow bowl. 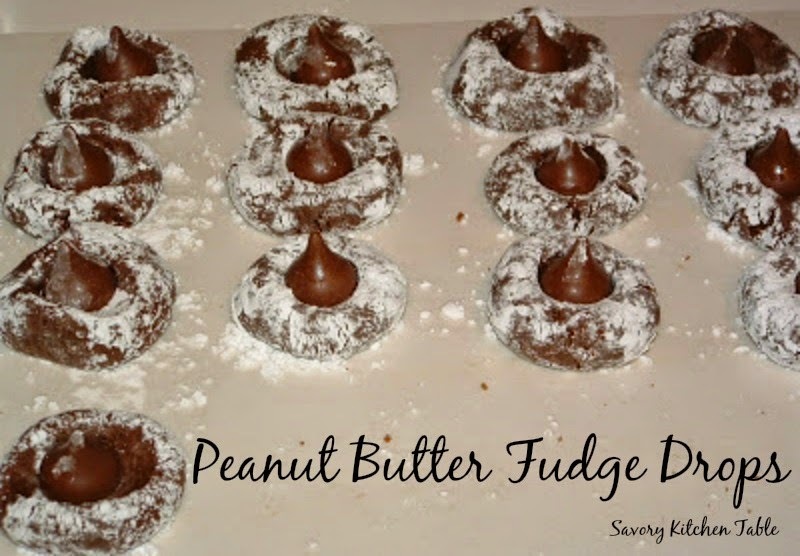 Roll each piece of dough into a ball and dredge in powdered sugar. Press your thumb into the center and fill with a Hershey's kiss.